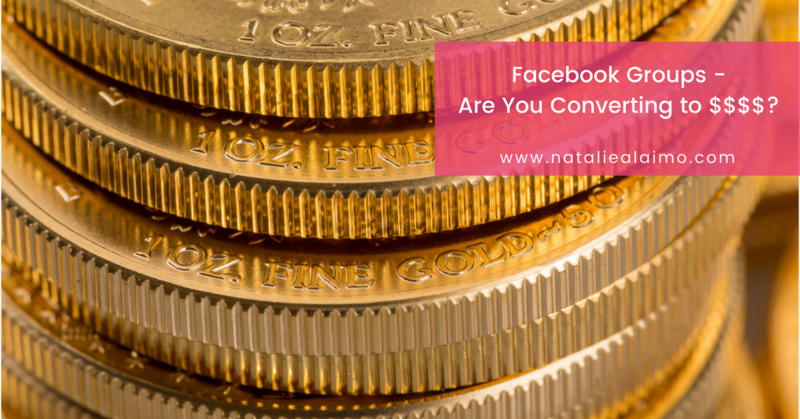 Facebook Groups – Are You Converting To $$$$? If you are on Facebook, you’re probably a member of at least one or two groups. I’ve personally purchased many programs which include access to private Facebook groups for the interaction and networking alone. These groups are great for meeting new people, building relationship, gaining more from the program and of course gaining new clients. All interaction in groups is done via your personal profile, which is great as you can build relationships quicker, but sadly many people aren’t able to leverage these relationships into business as their personal profile isn’t set up correctly to help this occur. Here are three things you can quickly change which will make a big impact to the amount of business you can get from your group interaction. On your main profile Timeline is an “About’ link and it’s often overlooked by users when setting up their account. On your website your “About” page is often the second most trafficked page after your home page, and if we had statistics on your personal profile on Facebook, I’m sure this would also be true. What does your “About’ section say? Does it mention your business, your passions or what makes you unique? Does it encourage people to take the next step to becoming a customers? Will it inspire people to want to learn more about you? Personally I have a mixture of both personal and business information, and of course, a link to my website where I gently encourage people to visit. When I’m on group pages I often click through to personal profiles to learn more about the person or their business and there is nothing in their about section! So go now and edit your about section. Make it inspiring and provide some details for people to take the next step with you. Also ensure that the privacy control in the “About” section is set to public so everyone can see this information without having to be your friend. List as many as you can and make sure you have this information set to public so it’s available to non friends. Personally I have my Facebook Page first so it gently encourages people to move over and connect there. Immediately below your Profile Picture is the “About” space. This is a highly visible space which most people look at when they land on your Profile and from here they can click to see more information about you. This section of your Profile provides people with a snap shot of you and potentially your business if you set it up correctly. Make sure this section’s privacy setting is set to public so that it’s visible to non Facebook friends. When you enter your employment details, it will automatically link to your Facebook Page if you have your Company Name listed as your exact Facebook Page name. This is a powerful way to increase your Facebook Fan number. It’s Free and often overlooked by many people. If you don’t have this connected you are missing out of the opportunity to share your business with the people you meet on Facebook. To get results, go now and make sure you have updated these three areas so you can get the most from your group interactions. « Previous Post Facebook Page Admin Roles – Who, What & Why? Next Post » Can’t find that post in a Facebook Group?